During the move, we will be closed from February 25th to March 6th, and resume normal operations on Monday March 9th. Our phone number, 323-937-3718 will remain the same. 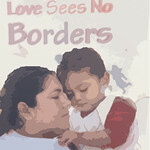 On Monday, February 16, U.S. District Court Judge Andrew Hanen of Brownsville, Texas, who has previously expressed anti-immigrant views, issued a preliminary injunction that temporarily blocks the implementation process of the expanded Deferred Action for Childhood Arrivals (DACA) and new Deferred Action for Parents of Americans and Lawful Permanent Residents (DAPA) programs that President Obama announced in November 2014. It is clear that President Obama has the long-standing legal authority to use this executive power to protect immigrant families and he is not the first to do so. Throughout history, numerous presidents have addressed the difficulties of immigrants through executive action. Presidents Ronald Reagan and George H. W. Bush took bold executive action on immigration to provide millions of people with relief from deportation. 1. The lawsuit does not have any effect on those who already received DACA. 2. The lawsuit does not have any effect for those who need to renew DACA. 3. 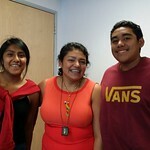 Those who are eligible under DACA announced in 2012 can still apply. 5. Continue to prepare for DACA Expansion! The CA Public Leadership Pipeline Project—Emerge California, The New American Leaders Project, Progressive Majority and Wellstone Action—is hosting another training in OC! 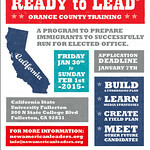 NALP will be facilitating the Ready to Lead training from January 30-February 1st 2015 at CSUF. Let us help your community members develop tools that’ll prepare them for civic leadership from the community level to the Capitol! 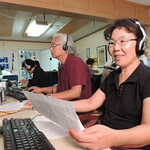 They can click here for FAQs about the training. There is a slight fee, but scholarship are available! KRC’s Los Angeles and Orange County offices are closed from December 24th until January 4th. 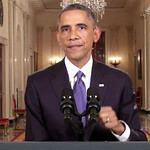 NAKASEC, KRC and KRCC welcome President Obama’s announcement that he will keep his promise to fix the broken immigration system through executive action. This new program will provide relief to an estimated 4.9 million undocumented immigrants, allowing them to apply for work authorization, receive temporary relief from deportation, and stay united with their families. This is not enough. Close to six million undocumented immigrants will continue to live in the shadows and in fear that they may one day be separated from their families. Our communities demand that Congress provide a lasting solution to the broken immigration system by passing comprehensive and humane immigration reform that includes a pathway to citizenship. We are conducting community input sessions with bilingual poll workers or people who served Limited English Proficient voters in any capacity during the November 2014 Election. The purpose of these sessions is to discuss the barriers affecting participation for voters with limited English proficiency and identify solutions to improve access to voting. We are looking for 10-15 bilingual poll workers or people who served limited-English voters in any other capacity during the November 2014 Election. The Korean session will take place on November 12th and the session for all other languages will take place on November 13th. To participate, please sign up below. The Korean Resource Center (KRC) is seeking a committed individual to fill a full-time position as the Immigrant Rights Campaign Coordinator. To highlight the humanitarian and moral crisis of detained children and mothers at the border, a 5-day fast will be taking place from July 21 to July 25, This is a youth-led effort, initiated by our community’s brave and committed youth. 1) Join the solidarity fast for one email or one day next Thursday, July 24 – and recruit others to join as well! Los Angeles, CA – A diverse group of seven young people between the ages of 15 to 22 will lead a week-long fast in support of immigrant children and their families fleeing violence and poverty in Central America. Fasters are calling for the children and their families to be treated with compassion and are asking Congress and the President to grant them refugee status. Where: 115 Paseo de la Plaza (near historic Olvera Street) in Los Angeles. Dates: Monday, July 21st to Friday, July 25th. - Fast Launch, Monday at 10:00am: Youth fasters joined by more than 150 supporters and community leaders to launch their fast. - Daily media availability, Tuesday-Friday at 10:00am: Youth fasters will provide a daily update on the fast. - Fast ending ceremony, Friday at noon: Supporters and community leaders will join youth fasters to end their fast. We are currently experiencing some technical issues with our website that prevent us from posting on the website on a regular basis. We are in the process of renewing the website on a new publishing platform (but same URL) this year, and hope to address those issues along the way as well. Please join us as we continue to push for the passage of immigration reform with a roadmap to citizenship. Learn ways that you can make a difference and hear from congressional representatives on what they are doing to move legislation forward. Come and learn about your rights and how to protect your family. The above is an aggregated list of recent comments to KRC's website, bulletin board postings in English, comments & favorites on KRC's Flickr account, group tweets, blog posts linking to or mentioning KRC and changes to the wiki. See the aggregation source here. Sign up receive bi-weekly email newsletters from KRC.